There is not much more to say about Melchizedek other than he combined being a priest of the Most High God with being the king of Salem (Jerusalem) and he met Abraham after the war that fought between the four kings against the five, and following the blessing Abraham gave him a tenth of all he had (Genesis 14), and if it were not for the fact Melchizedek is mentioned later in the Bible that is it. Having been leading, for the previous eight weeks, Bible studies on the kings of the Bible and ending up the previous week with the last kings mentioned in the Old Testament, the kings of Persia, I thought it would be a good idea to backtrack and revisit one of the earliest kings mentioned, before looking forward to the all important king at the end of the Bible, the Lord Jesus Christ, the King of kings. 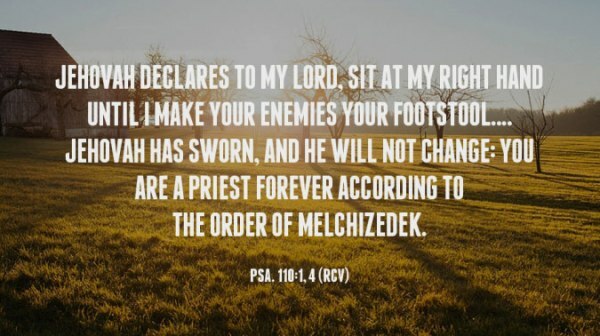 Many see Melchizedek as a type of Christ, or even Christ himself, given that the above was prophesied about Him, when David looked forward to the coming of the Messiah, who is to gloriously reign. If it wasn’t for this, it is unlikely we would give Melchizedek a second thought. What is remarkable is that David made a connection that I doubt, humanly speaking, anyone would have seen, but for the fact he did so inspired by the Holy Spirit and for a particular reason. But clearly this mystery man of the Bible, the one it is said who had no father or mother or beginning or end of days, who enters and leaves the stage ever so quickly that proverbially you would miss it if you blinked, is of great significance because of the huge respect Abraham paid and illustrated the worship of the one true and living God was happening even before Abraham was given instructions to found a great nation (Israel) to be God’s special possession. 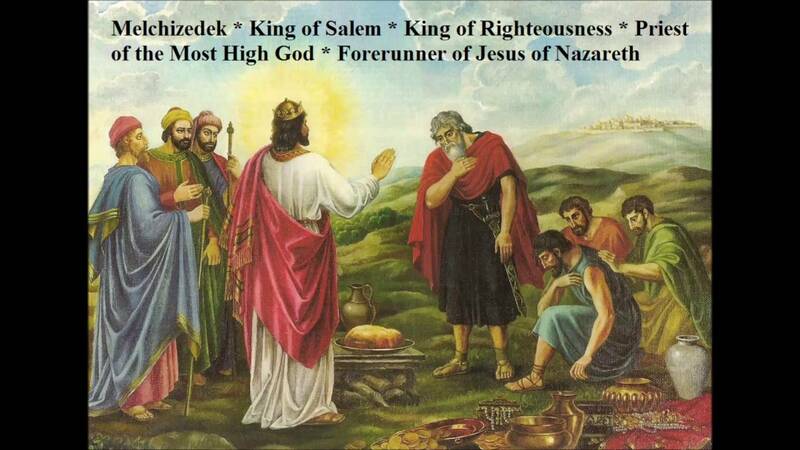 The theme of Melchizedek was picked up in the New Testament (Hebrews 5, 6 and 7). 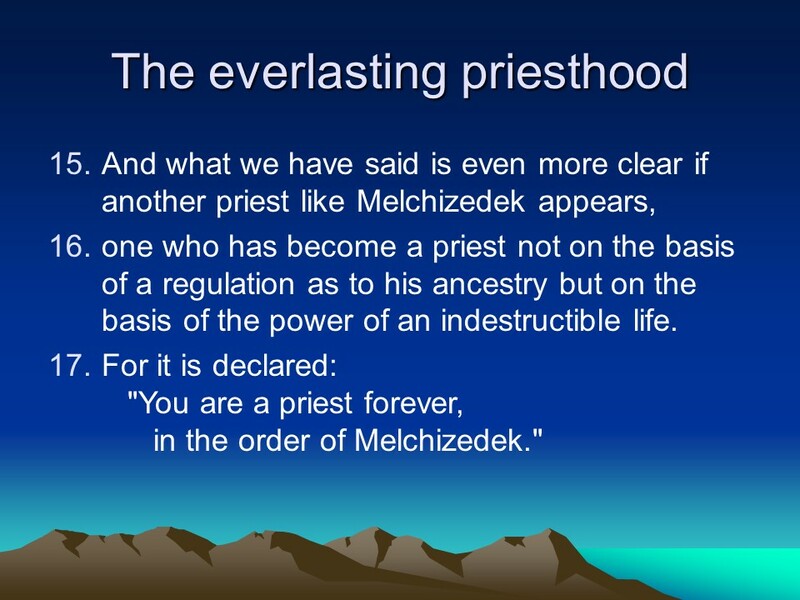 We are reminded that we (who follow Christ) have a great High Priest (and eternal, unlike the Aaronic priesthood under Moses) of the order of Melchizedek. 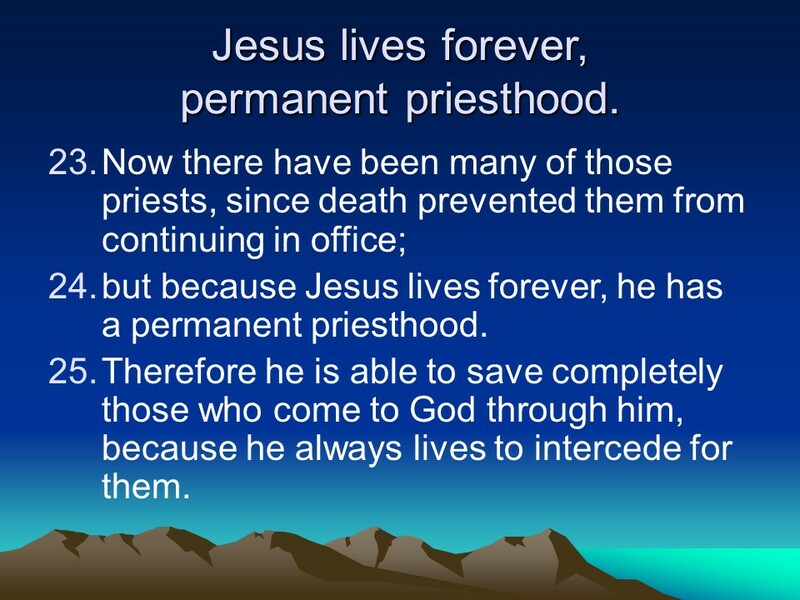 He ever intercedes for us and we can approach the Father God at any time through Him and, because of his priestly office, he pleads for us before His Father. This is a thrilling prospect and huge privilege, making this story so significant given who Melchizedek was a type of and forerunner to.